This time-honored mnemonic applies to many fields. In photography, it means that everything is a trade-off. This is especially true in forensic photography, where a “true and accurate representation” is the price of admission to the courtroom. Many photographers try for their “free lunch” by using the camera’s auto mode. As I discussed in part one of this blog series, auto mode is far from ideal and all but guarantees an image that won’t stand up to forensic scrutiny. 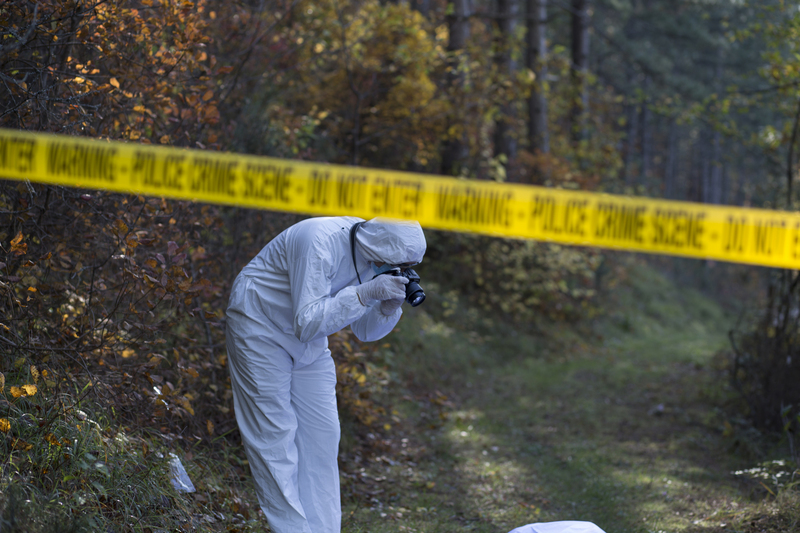 Proper mode selection is essential, yet isn’t the only trade-off in forensic photography. The big trade-off is actually threefold and it all stems from exposure control…or more simply, the ability to make use of light. Auto mode usually selects wide apertures, fast shutter speeds, and high ISOs, none of which are suitable for forensic photography. The aperture is the adjustable hole in the lens light passes through on its journey to the image sensor. A wide aperture admits more light per given amount of time than a narrow aperture, but this greater light-gathering ability comes at a cost: diminished depth-of-field. A forensically sound photograph must exhibit proper depth-of-field. Everything must be in focus. The solution is to maximize depth-of-field by tightening the aperture. Unfortunately, this dramatically reduces the amount of light reaching the image sensor. The camera’s shutter controls when a photograph will be taken, as well as the length of time the image sensor will be exposed to light. The longer a shutter is open, the more light reaches the image sensor. The smaller the aperture is, the longer the shutter must compensate by remaining open. This is not necessarily a bad thing in forensic photography, as fast shutter speeds are not necessary; however, a handheld shutter speed slower than 1/60th of a second risks introducing blur from camera shake. This time factor creates yet another trade-off, namely, trading the convenience of a handheld camera for the support of a tripod. The third exposure control is ISO – the light sensitivity of the image sensor. The higher the ISO, the more sensitive the sensor is to light, and the brighter the exposure will be, given the same aperture and shutter speed. The lower the ISO, the lower the sensitivity and darker the exposure. While it’s tempting to lighten exposure by increasing ISO, the price is image quality. Higher ISOs introduce noise into the photograph, giving it a grainy appearance. In short? Aperture, shutter speed, and ISO can all be adjusted independently; however, knowing how to use them interdependently allows you to more easily achieve a proper exposure. 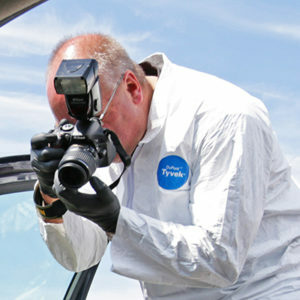 Learn more about other important themes in forensic photography in part one and part three of this blog series.